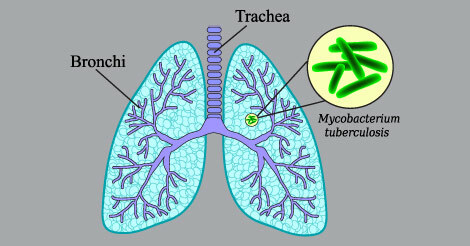 Tuberculosis (TB) is known to be an infectious and fatal condition that is caused by bacteria called mycobacteria tuberculosis which affects lungs. Since it is infectious, it often leads to other health complications because a person infected with tuberculosis has a very low immunity. In the recent times, WHO over 10.4 million cases of Tuberculosis were reported. Over 1.8 million tuberculosis patients succumbed to the disease. This makes TB the topmost infectious killer disease! Tuberculosis is the 2nd largest single infectious agent killer worldwide. India shares 2.2 million case of tuberculosis out of global prevalence of 9.6 million, thus making India the country with highest number of Tuberculosis cases. As per reports around 40% of the population in India is infected with Mycobacterium tuberculosis bacteria, majority being having latent rather than active tuberculosis. Bacillus Calmette-Guerin (BCG) is a vaccine for tuberculosis. Almost any disease can be prevented if detected at an early stage. Once a condition is diagnosed early it becomes easier to prevent or even cure it completely. Mass reduction in the prevalence of Tuberculosis can be achieved by bringing out mass awareness of signs and symptoms. Regular health screenings will help you be aware of your health status. To know your health status, opt for the comprehensive health checkup packages provided by Indus Health Plus, a preventive health checkup specialist. To know more about health checkup package details, please fill the query form and we will get back at you at earliest. REMEMBER - Tuberculosis is a completely curable disease, but if left undetected can be fatal.